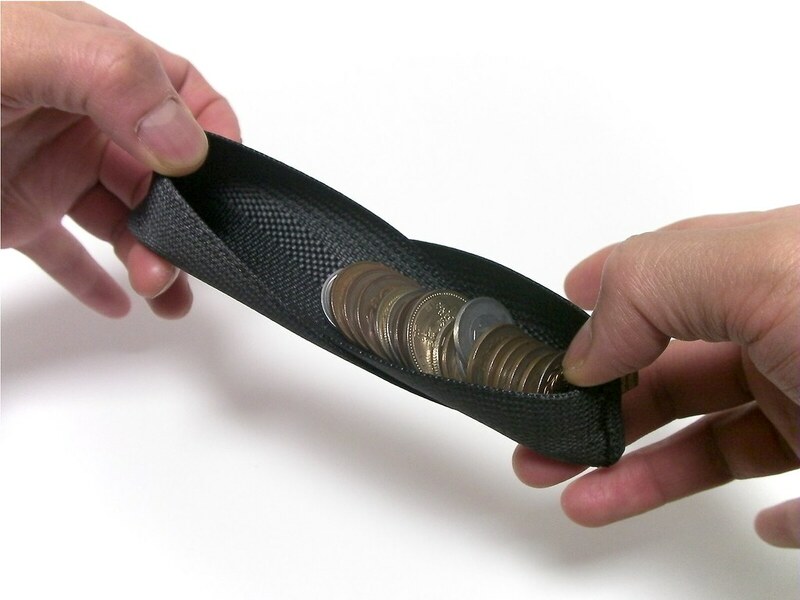 OMSUBI is a coin wallet that is made of Mobius ring with an extra twist, quite literally. This kind of Mobius figures are called "paradromic rings" and it is studied in topology. 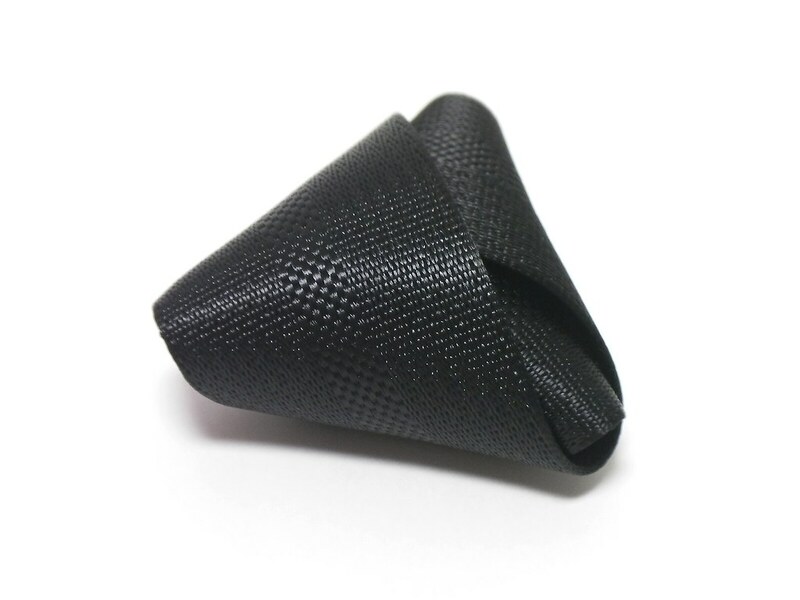 OMSUBI is not only unique to its shape, but it's also unique to its made of material. 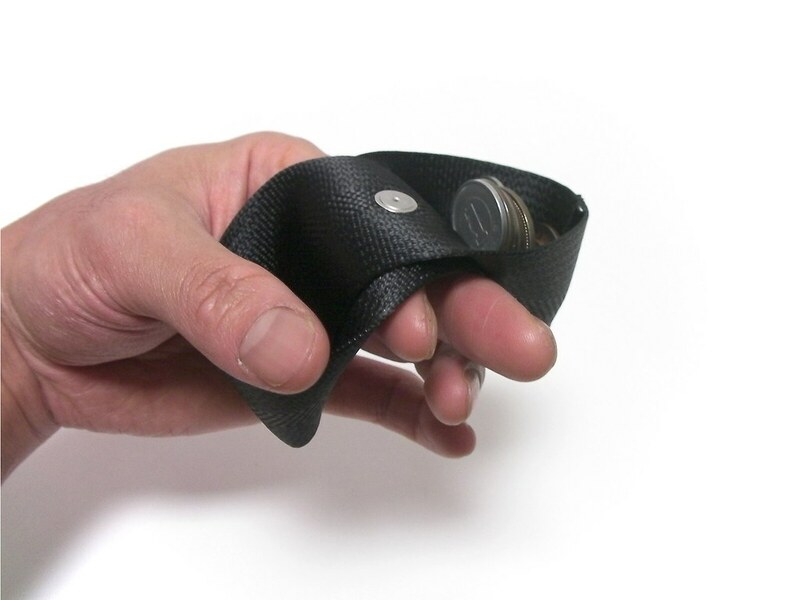 This product has been created as an up-cycled product, and it is made of car seat belts. OMSUBI means “knot/connecting” in Japanese while it is also commonly referred to rice balls which are widely recognizable for its triangular shape. 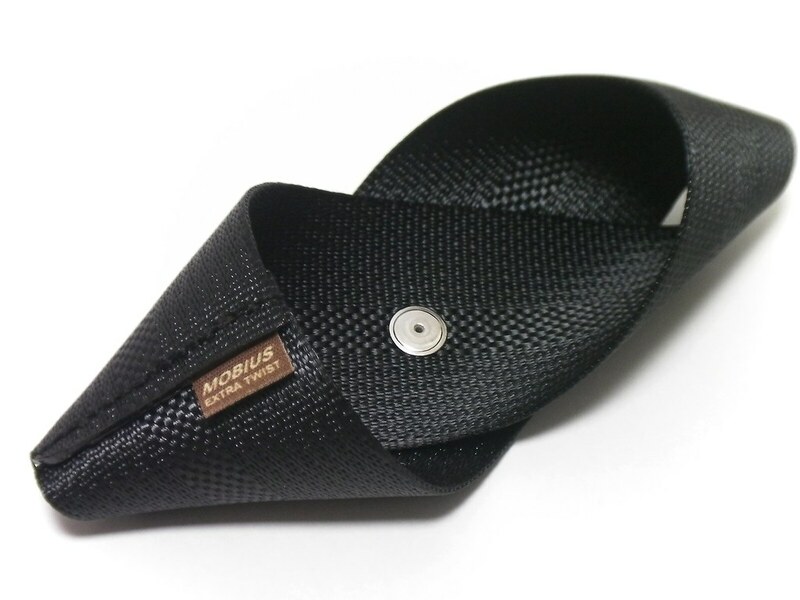 Because of that positive meaning implies connecting people and money to you, this product is a highly celebrated lucky item with a very unique essence of Japanese. On top of that twist, “OMSUBI” is actually an anagram of “MOBIUS”. Used car seat belts remind me veterans who had devoted themselves in service of protecting our lives. We would like to treat them with respect and put them in charge of your coin-affair, rather than shredding otherwise. Opening can be transformed to be wider as you push it to sides. It provides easy access to all the coins that are now at a glance. 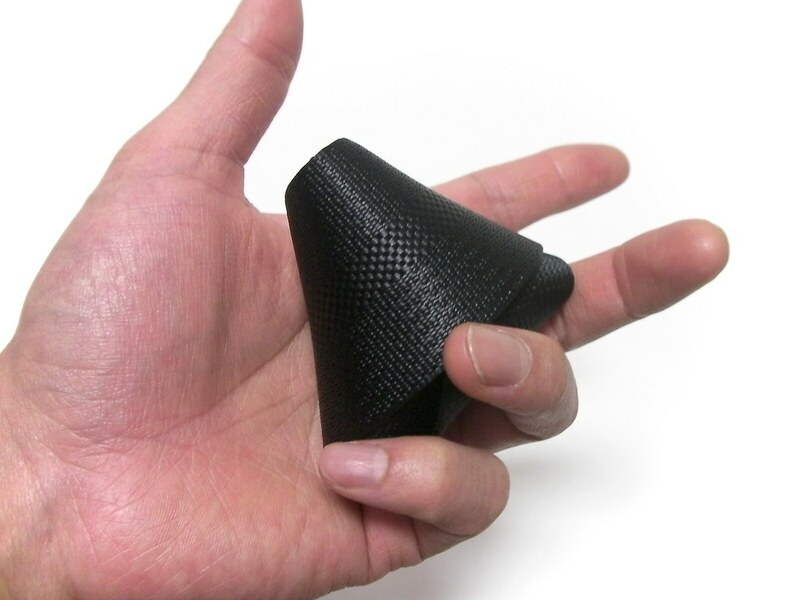 When held as shown in Fig. above, empty pocket becomes available for such as selecting coins. 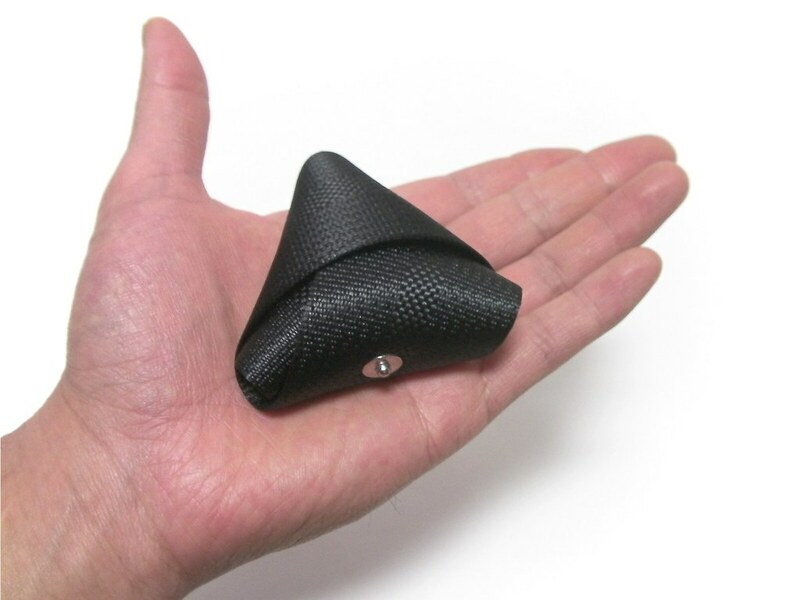 Omsubi shape is perfect fit to your palms or your pockets.